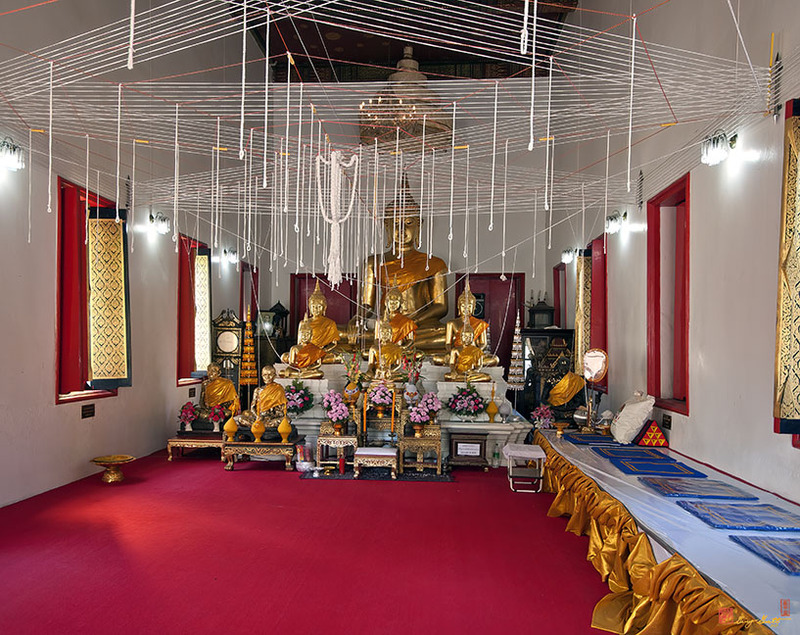 Wat Maha Pruettharam Worawihan (also spelled Wat Mahapruttharam), วัดมหาพฤฒารามวรวิหาร, is a third grade royal monastery of Worawihan. 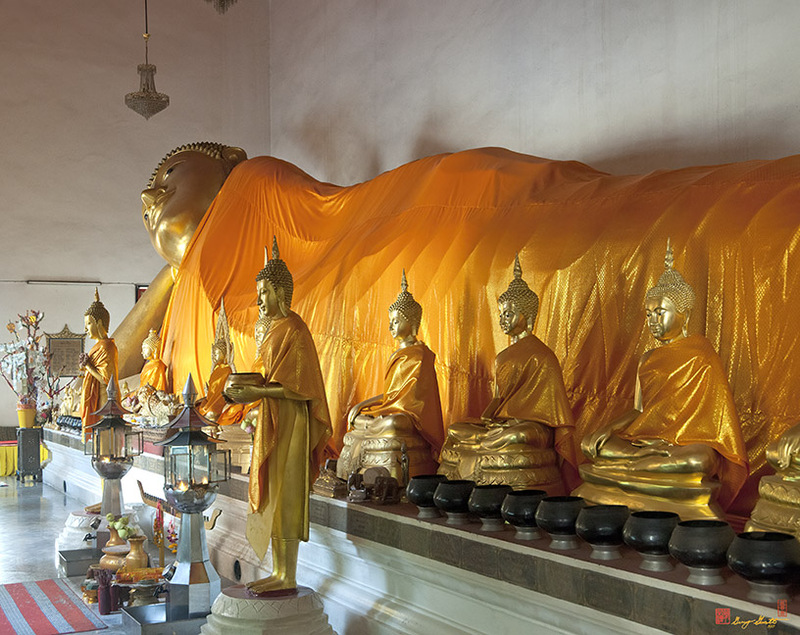 It is an ancient monastery whose exact origin is unknown. 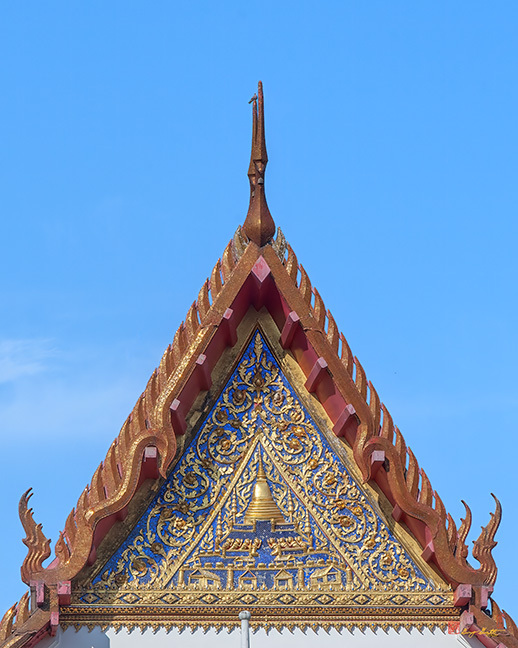 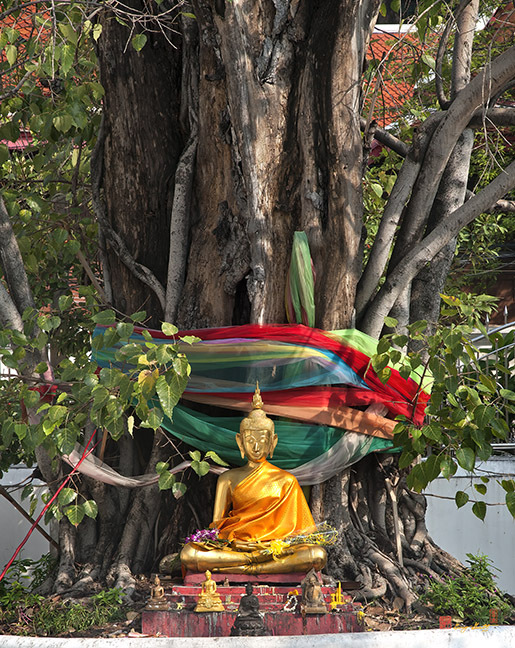 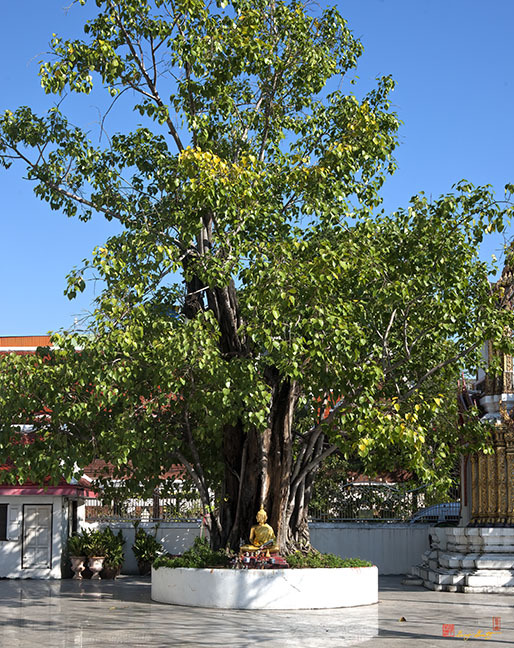 The original name of the temple, Wat Tha Kwian (Cart Harbor) in earlier times derived from a legend telling about King U-Thong of the Ayutthaya era. 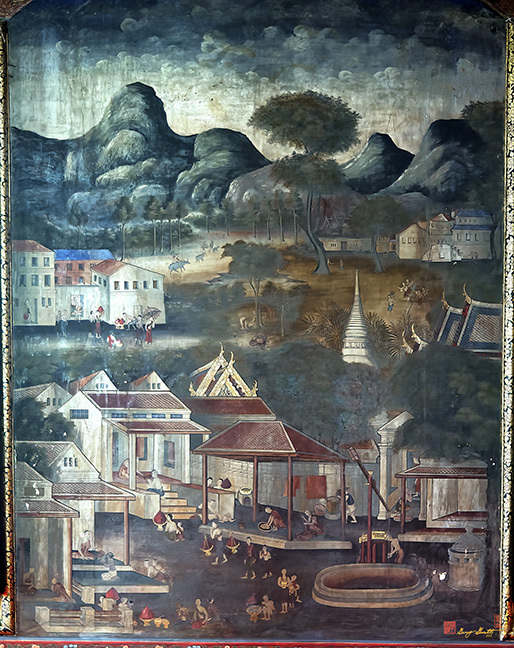 He had escaped from a cholera epidemic which was ravaging the area. 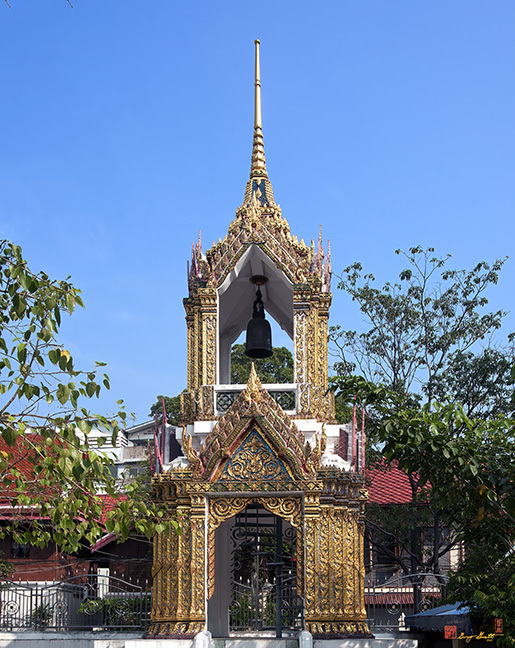 He traveled by a kwian (cart or wagon) and came to park his wagon in the area. 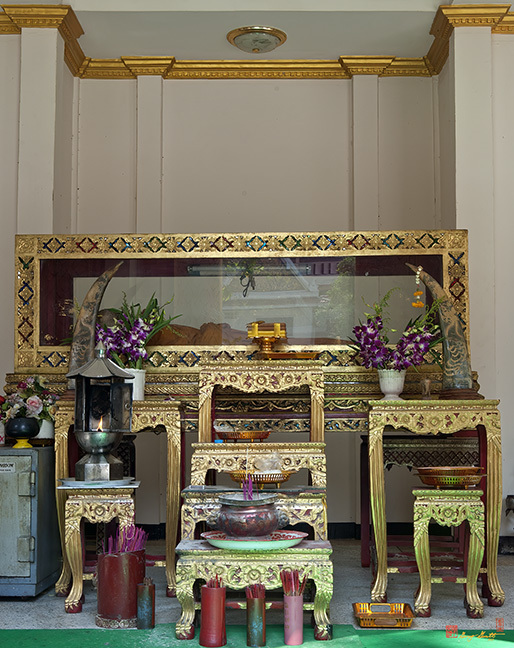 Another story is that this area was the resting place for travellers who journeyed in kwian. 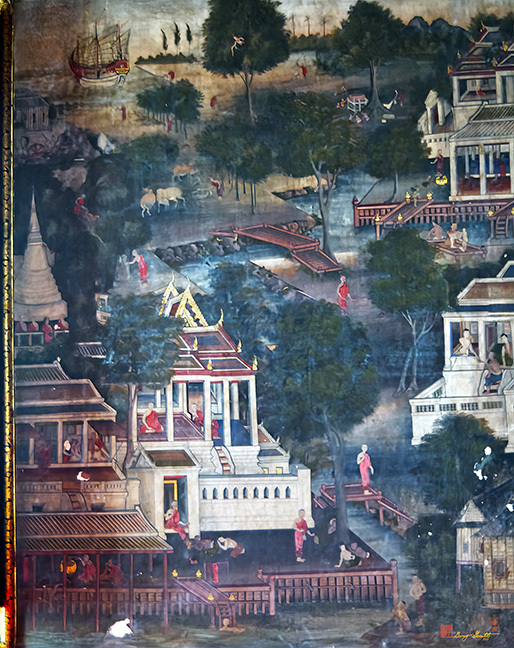 Later in 1852 A.D. ( 2395 B.E. 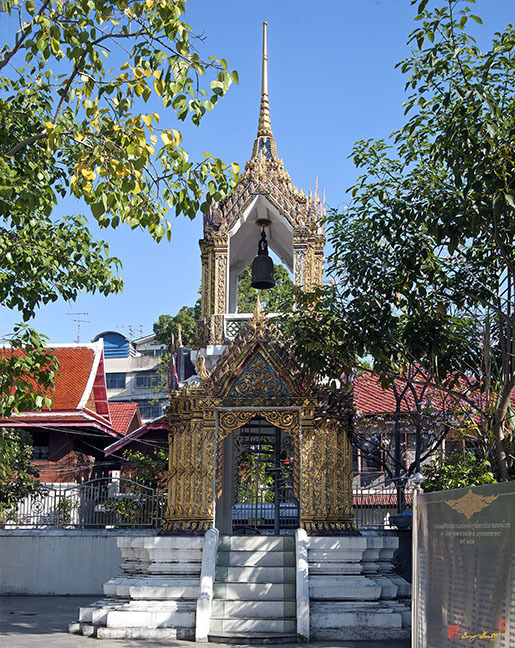 ), King Mongkut (King Rama IV) named the temple Wat Ta Khien (the name of the miracle tree) and jointly built a new temple with his son, Prince Chulalongkorn (who became King Rama V). 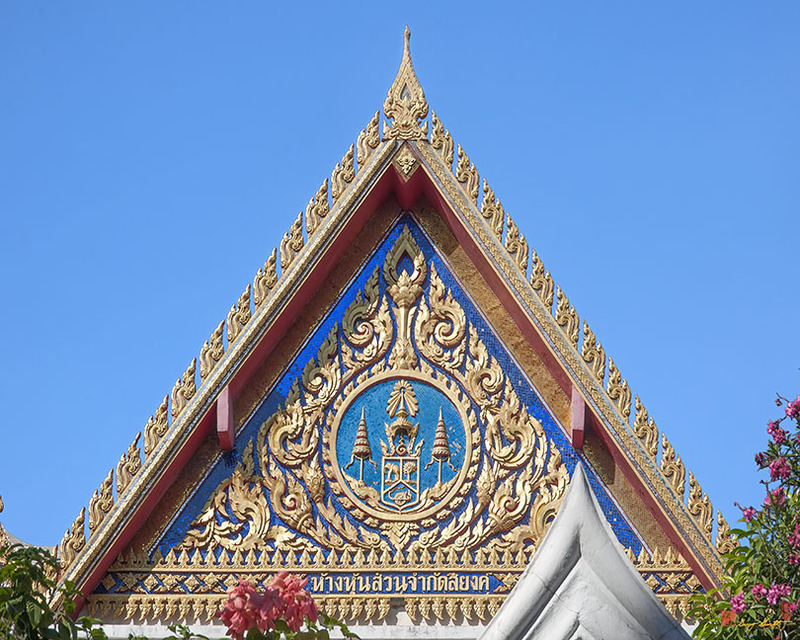 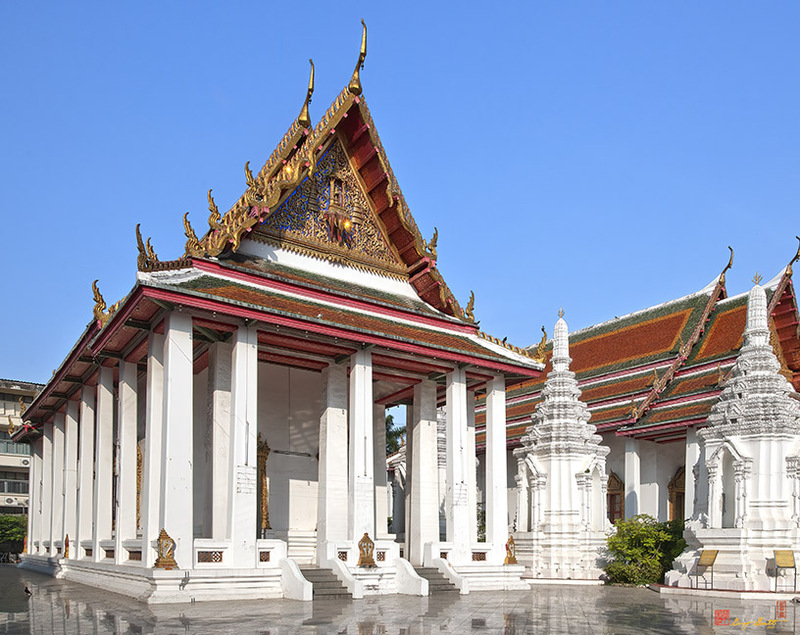 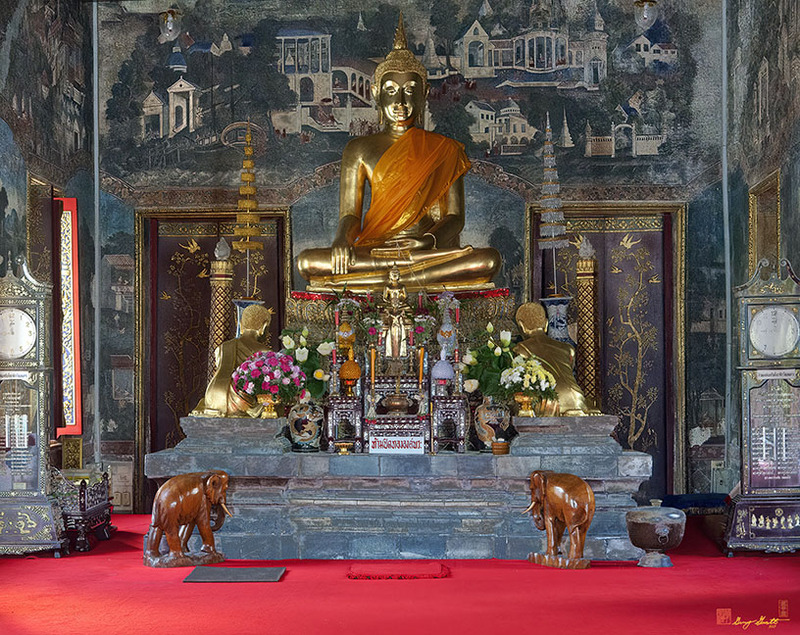 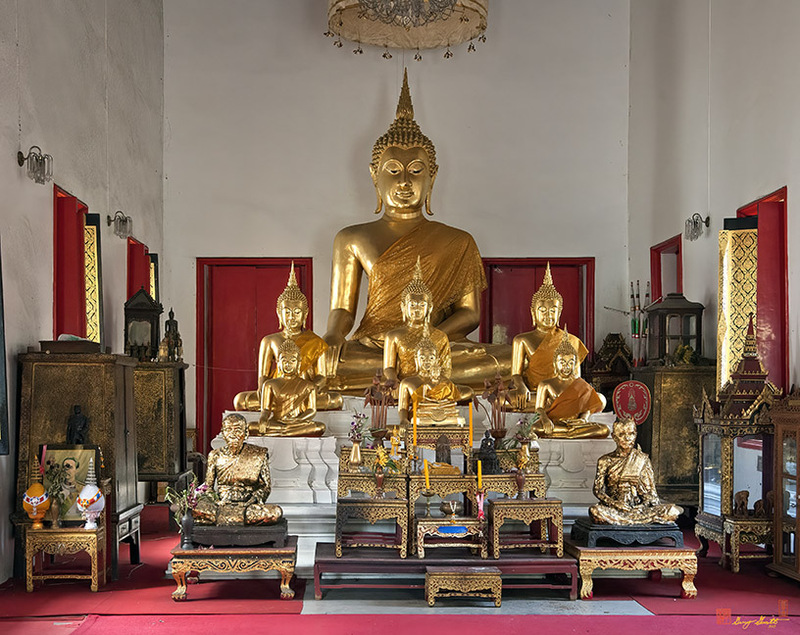 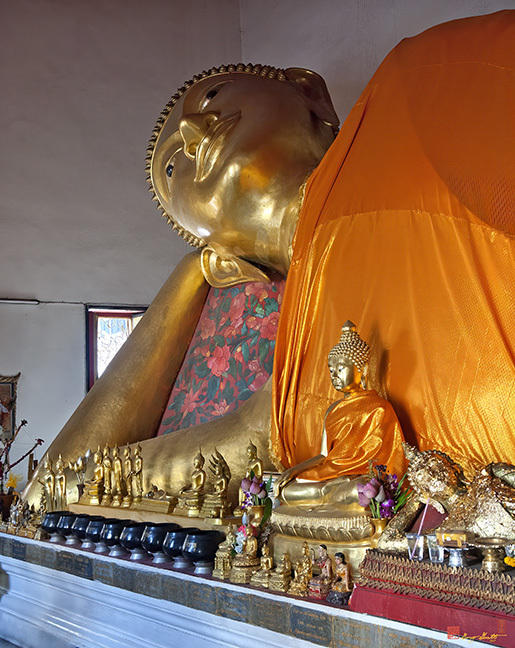 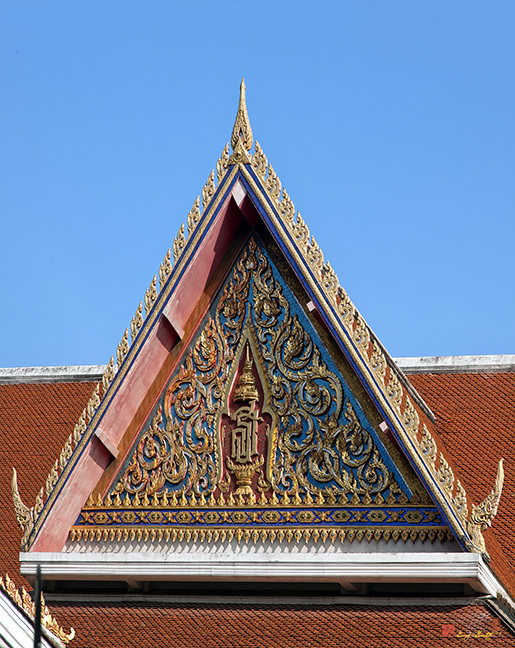 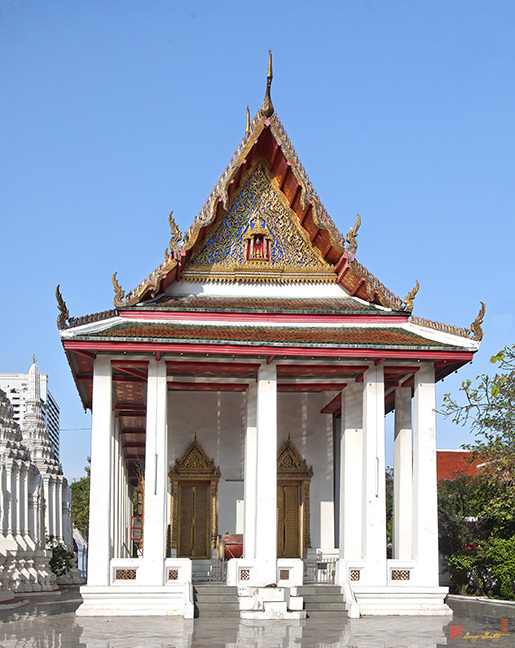 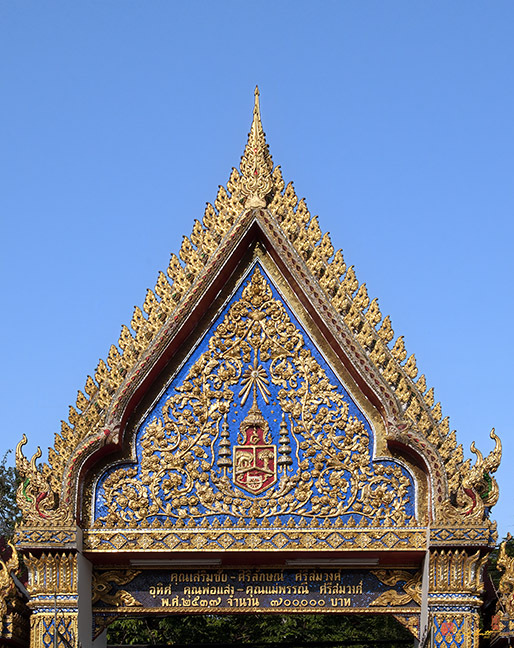 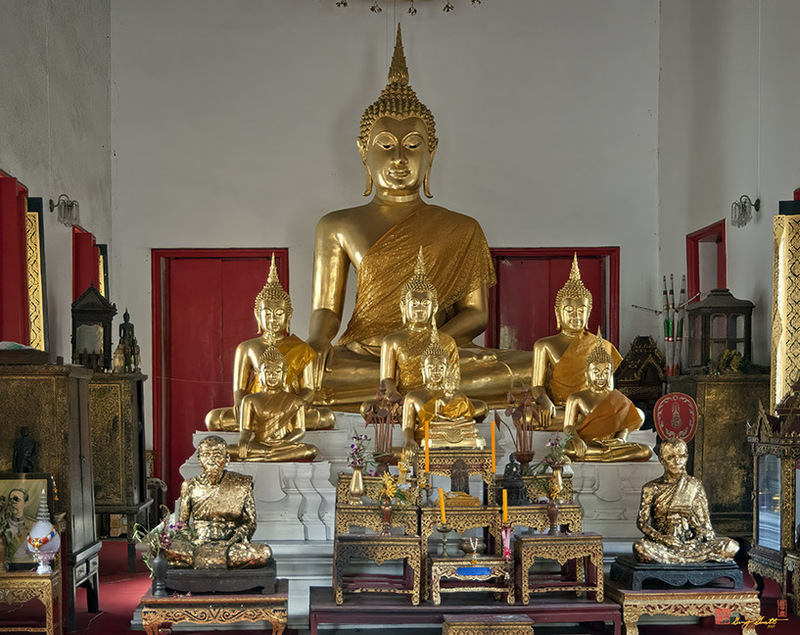 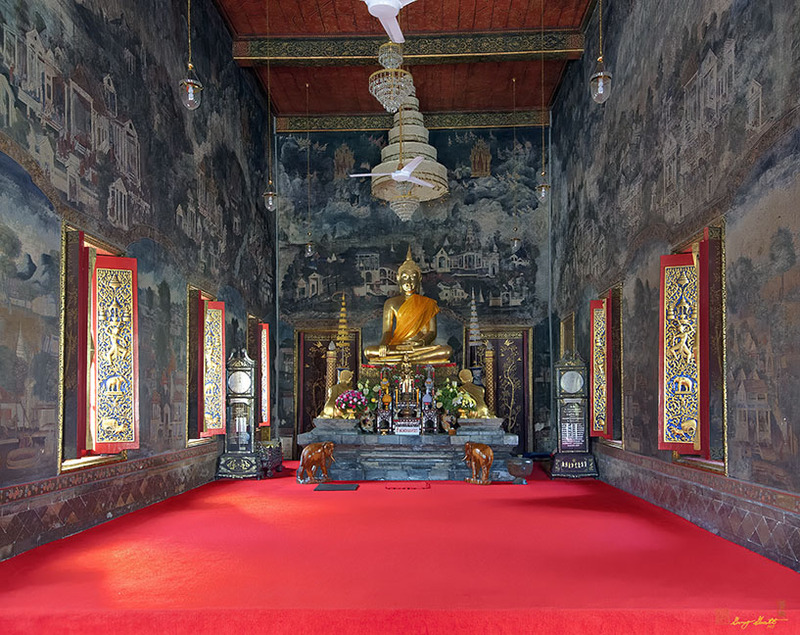 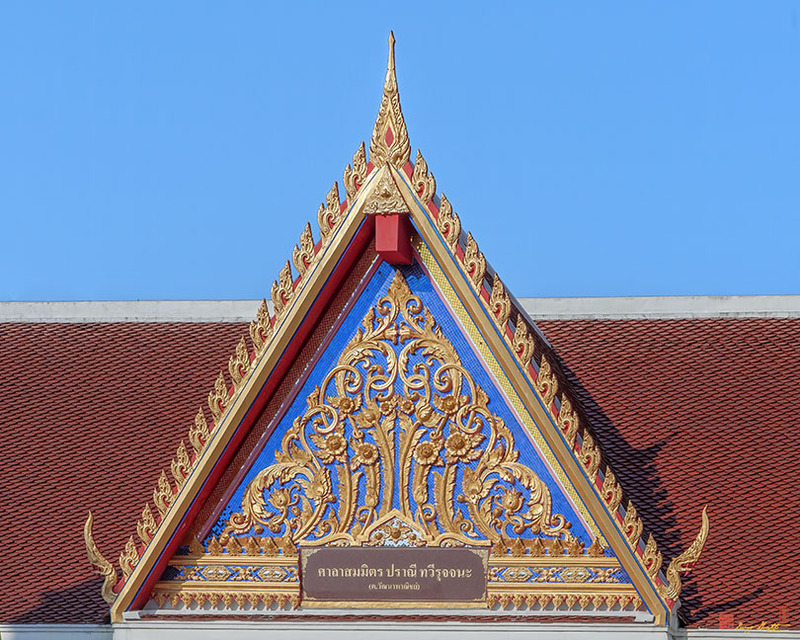 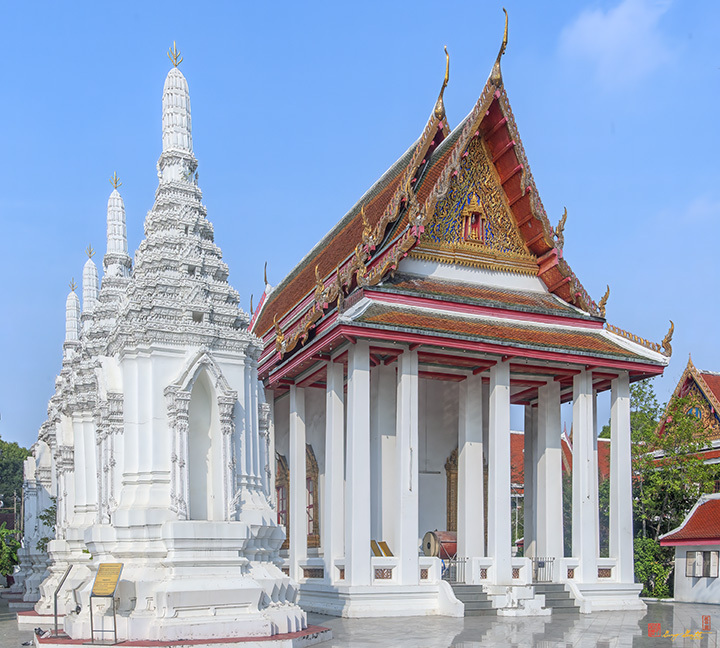 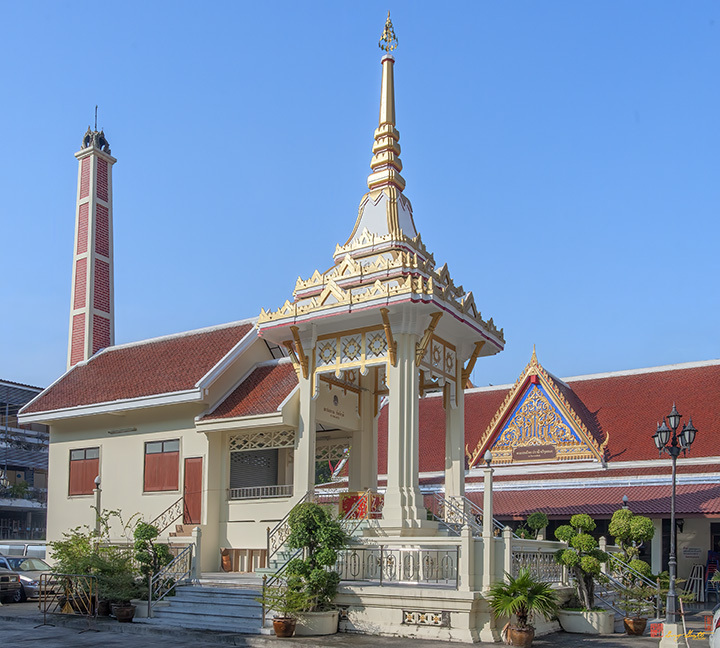 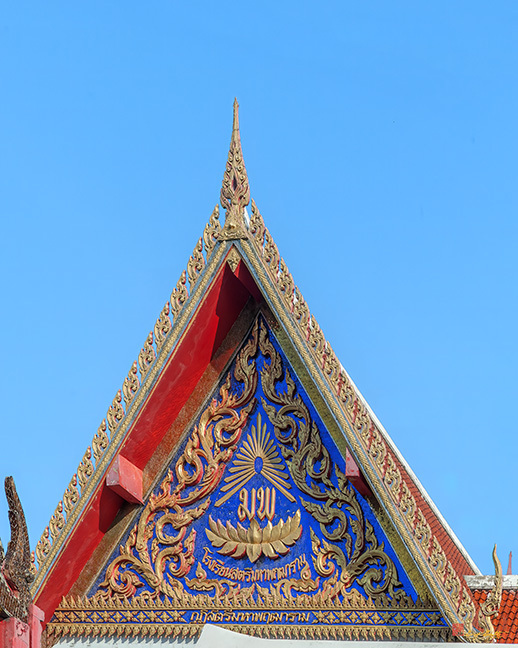 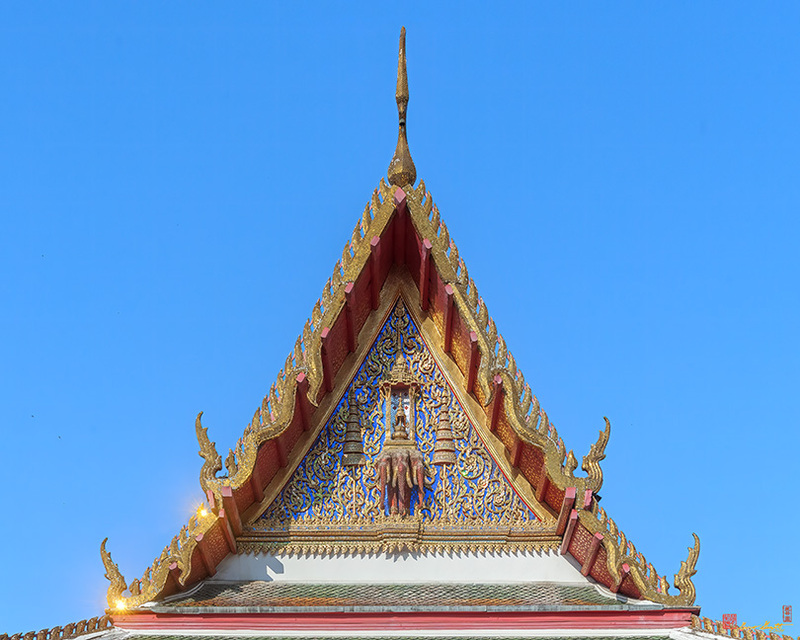 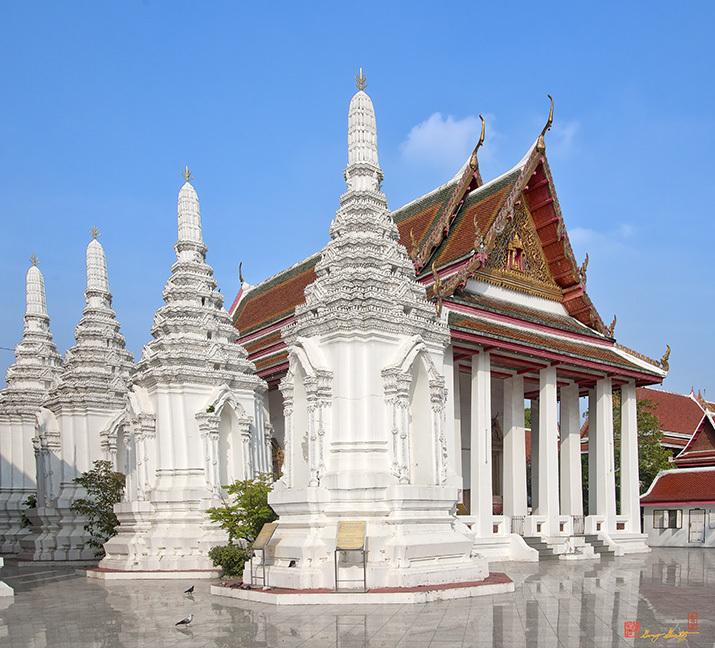 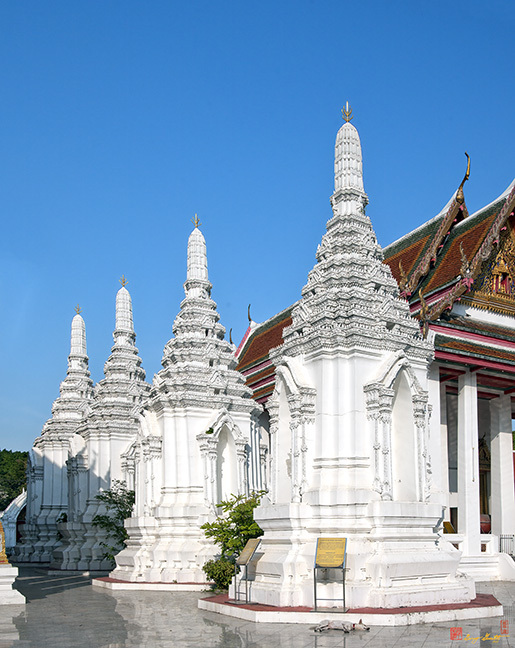 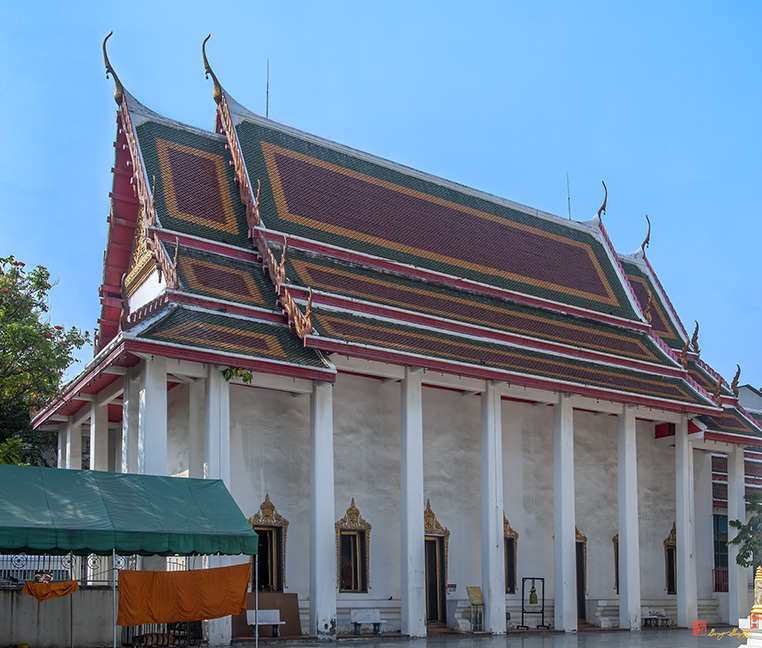 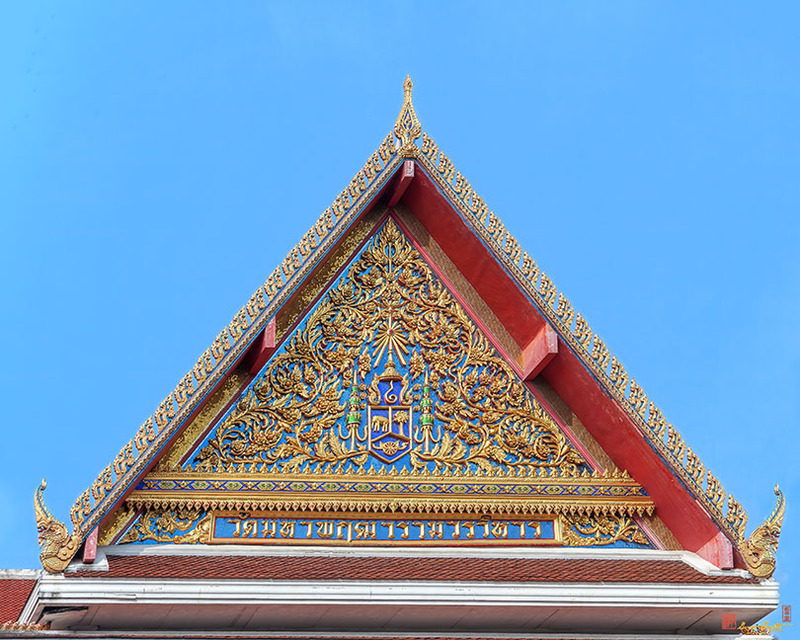 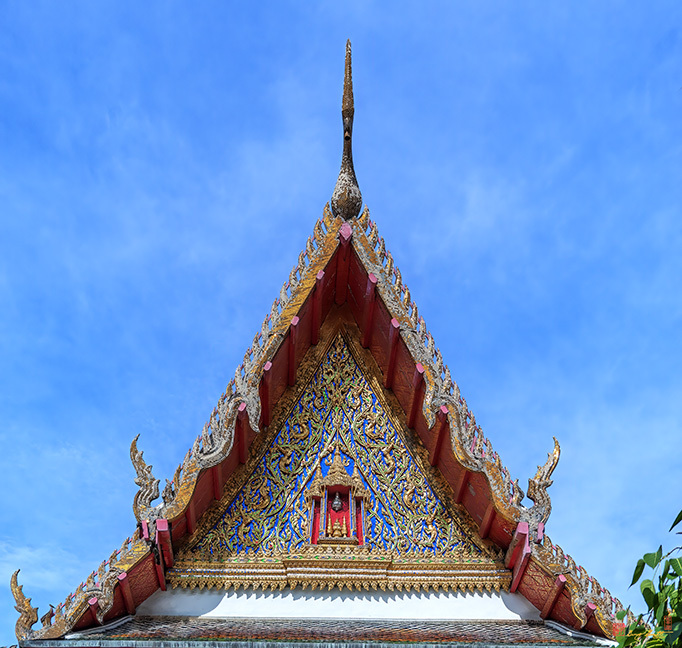 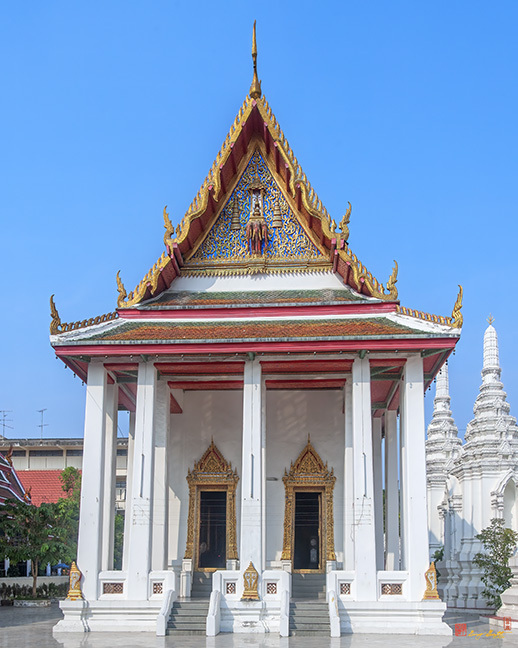 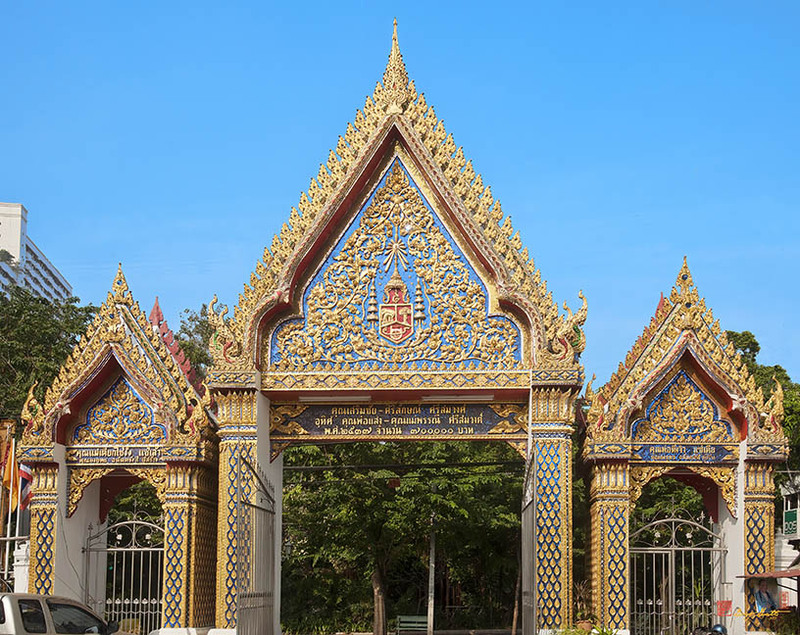 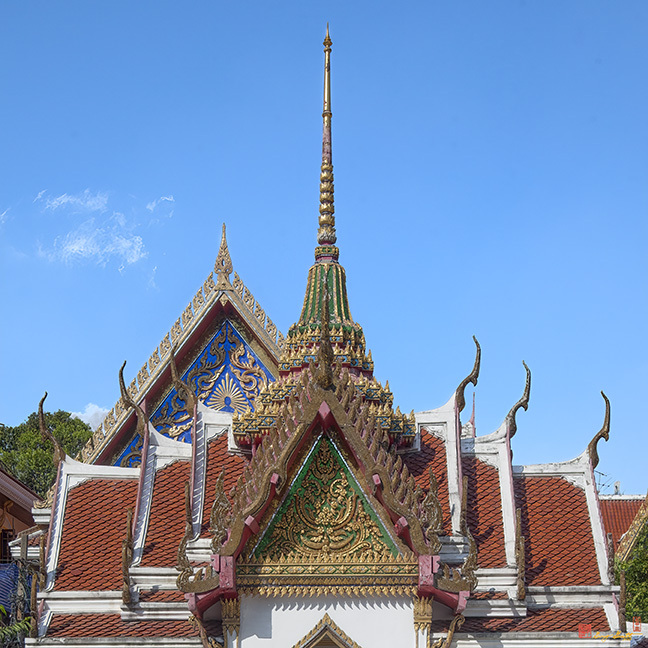 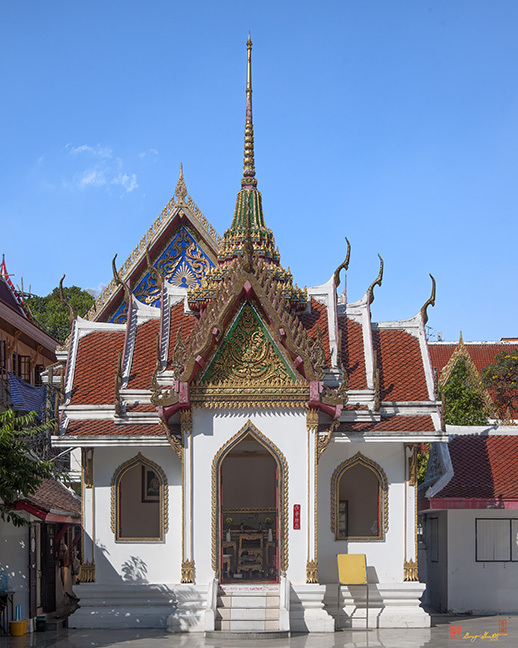 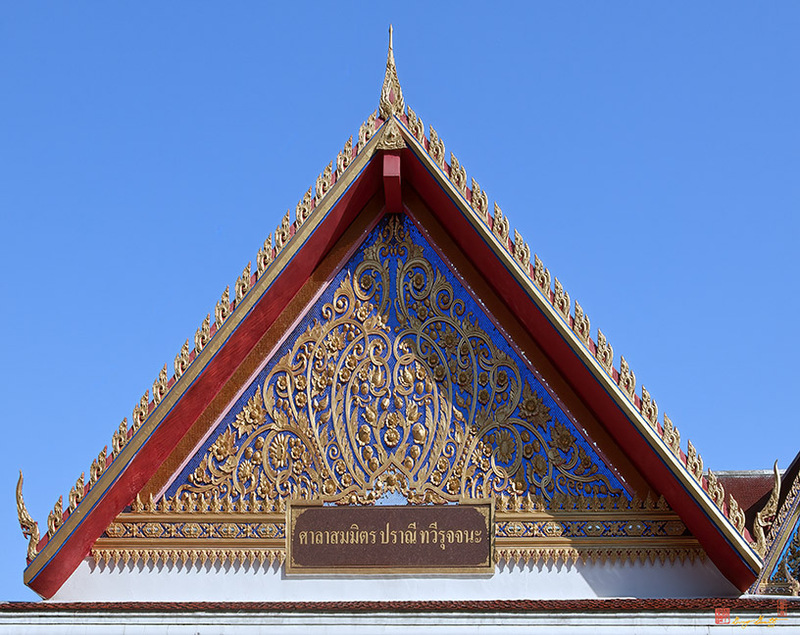 The temple was renovated and raised to a royal temple and King Rama IV renamed it Wat Maha Phruettharam in honor of the first senior lord abbot whose name was given to him by the king: Phramaha Pruttacharya. 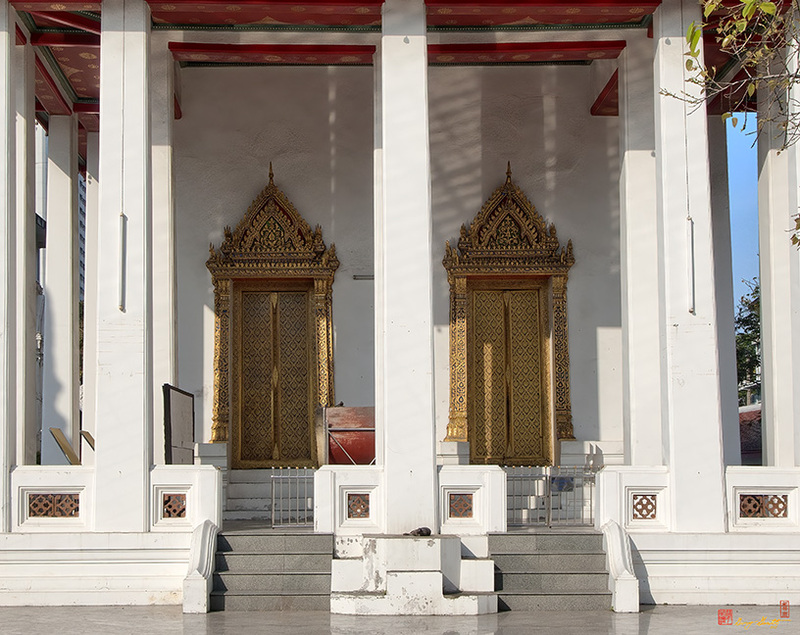 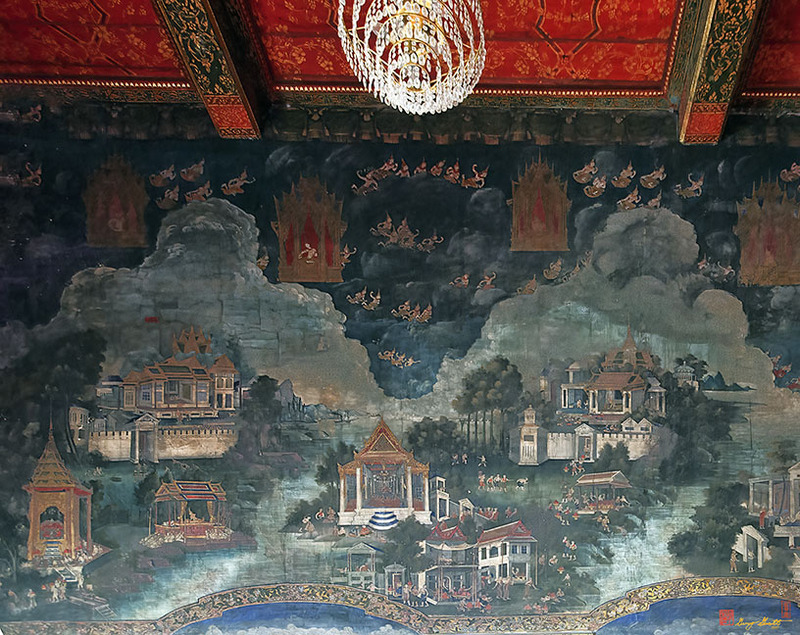 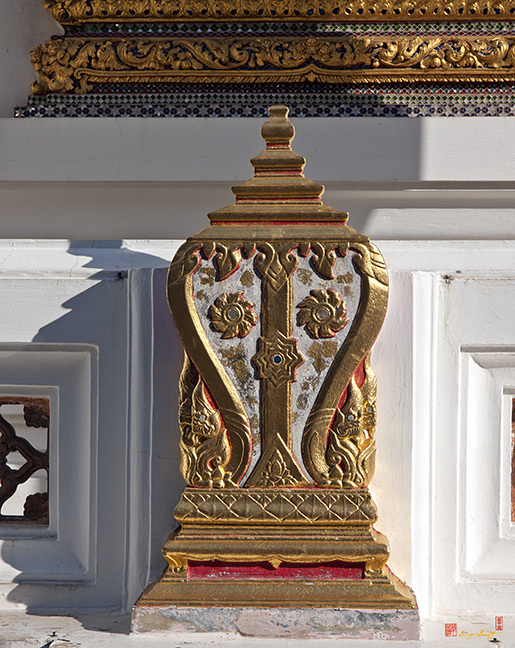 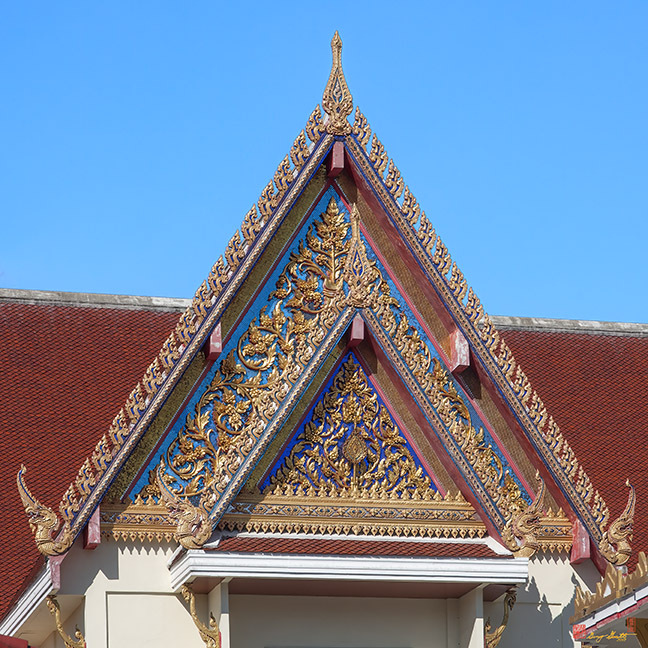 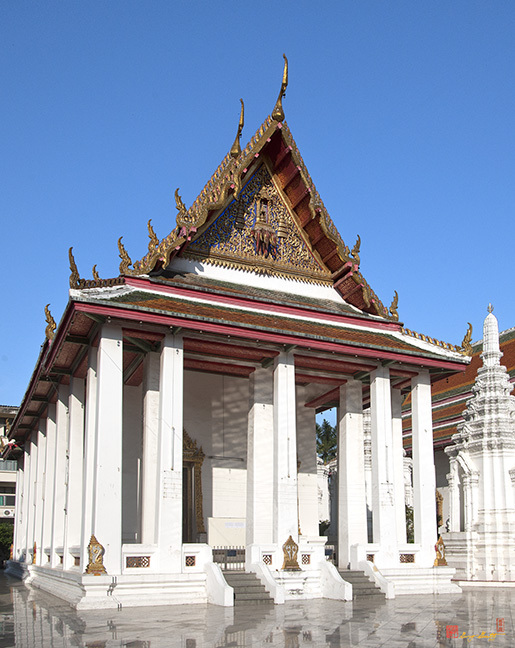 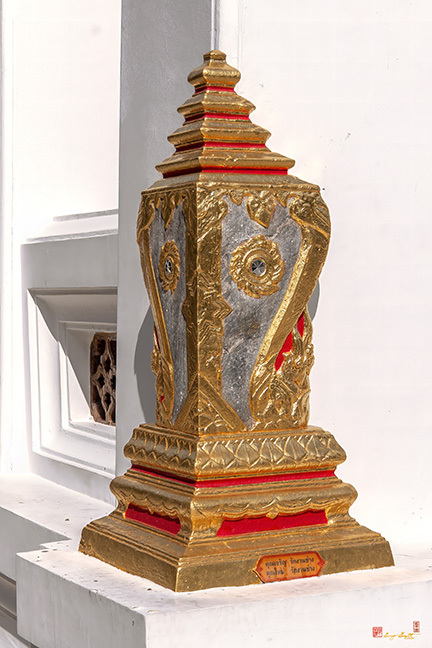 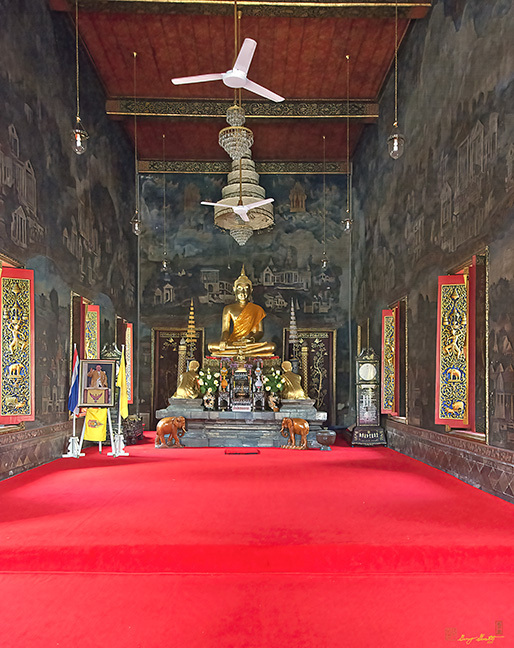 There are many interesting objects in the temple such as the Ubosot (Ordination Hall) doors, windows and gables decorated with stucco mouldings in the form of Maha Mongkut (the royal crown) which was the circular royal seal of King Rama IV, and the gables of the Wihan (Hall of Worship) display stucco mouldings in the form of Chunla Mongkut (mini royal crown) which was the circular royal seal of King Rama V. The mural paintings inside the Ubosot are a set showing the Buddhist Pilgrims. 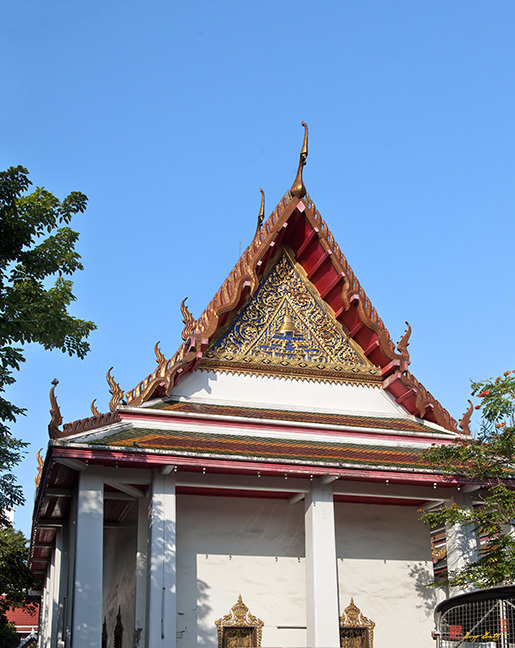 Text from historical marker at the temple.